We are a quality manufacturer and industry leader for self-service air and water equipment, and outstanding economical hose reels for industrial and commercial use. 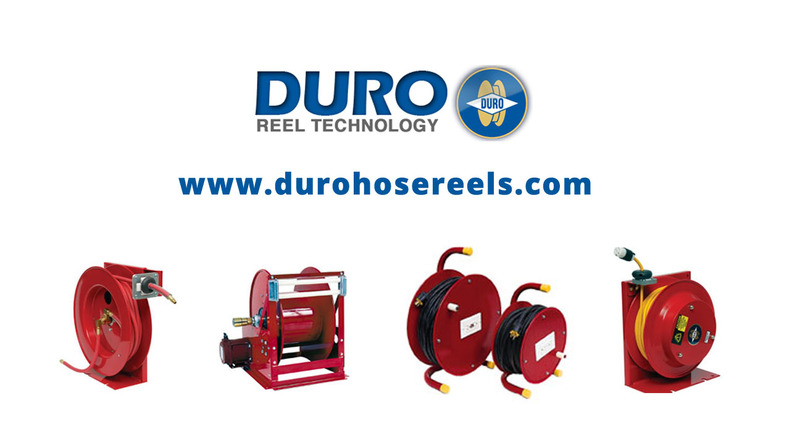 Whether you are looking for high quality spring retractable hose reels, static reels or even manual hose reels, Duro Manufacturing has got it all. With our complete in-house facilities, we are able to supply the largest variety of hose reels and equipment with ultimate prompt service to save you both time and money. 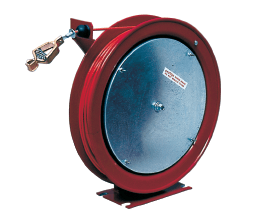 Our premium cable reels effectively store cable neatly until they are ready for use and come in a variety of sizes and are either manual reels or spring retractable cable reels. 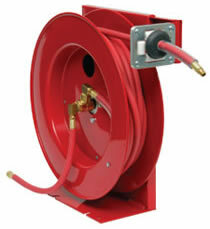 Duro Manufacturing offers combo cord & hose reels in a variety of electrical cord and hose sizes. 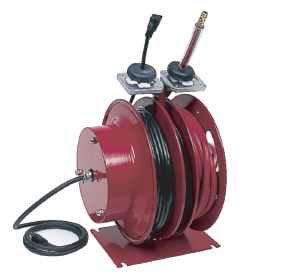 These cord reels are great for a wide range of applications with a number of options such as heavy duty steel construction or enclosed cord reels for certain applications. 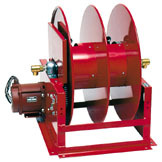 Manual reels, or hand crank hose reels are great for smaller applications whereas larger more intense applications may desire a motorized hose reel to get the job done. 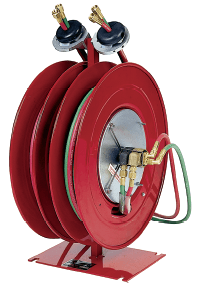 Duro Manufacturing offers many options when it comes to standard hose reels from heavy duty to shop and automotive hose reels you can be sure to find a solution for your application. 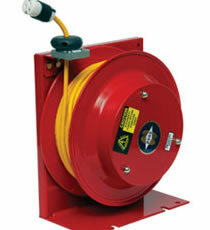 Our large capacity reels are just that, hose reels designed to hold and store one large hose. 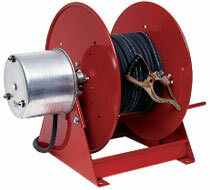 Most of these reels are spring hose reels for frequent use. The manual reels offered here at Duro Manufacturing come in a great deal of size variety and rewind directly by side hand crank. 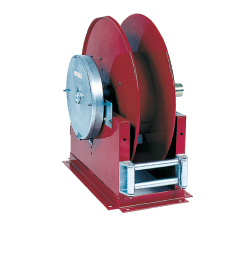 For applications that require a static discharge reel, we have a variety of options that support a range of cable lengths. Welding Reels from Duro Manufacturing are spring retraction reels that provide efficiency in high production shops and come in a variety of combinations. 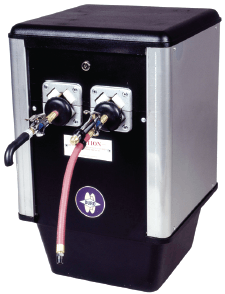 Self-Serve air and water machines with one air hose reel or two retractable hose reels for air and waterare also available from Duro Manufacturing, Inc. 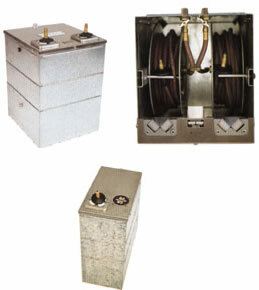 These self-serve air and water machines provide air for tire inflation or water depending on the application at hand. Underground reels from Duro Manufacturing can handle low pressure air or water and we have a wide range of options and sizes available. 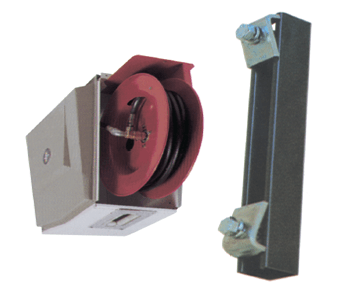 Specifically ceiling mount enclosures for individual retractable hose reels or for bank of multiple retractable hose reels that can be easily bolted together for a smooth clean look. 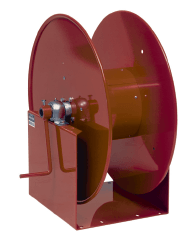 Custom painted, stainless steel and fiberglass enclosures available for larger automatic hose reels or motor driven reels for added protection against harsh climate elements.